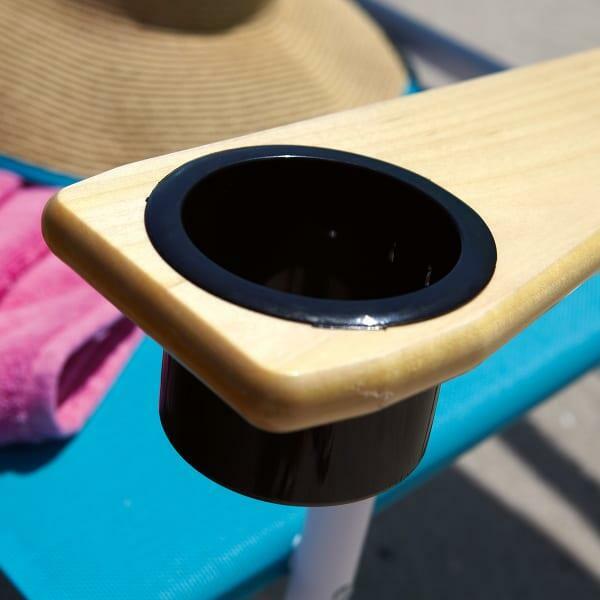 Telescope quality in portable beach furniture! 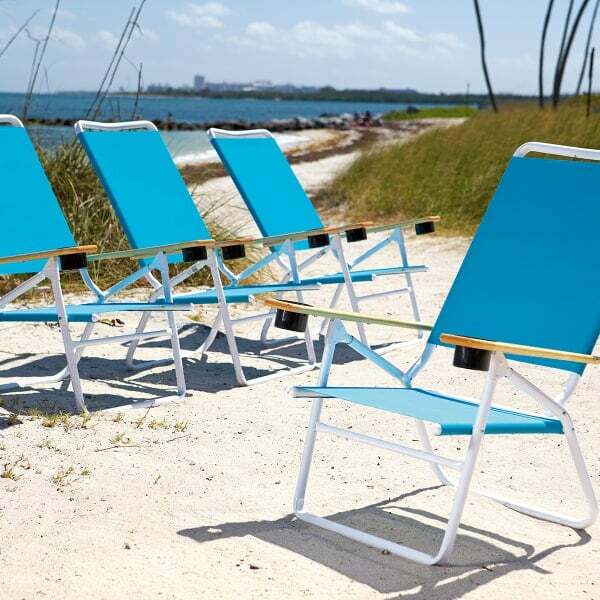 This collection includes folding chairs and chaises, all constructed of lightweight but durable aluminum tubing with hardwood arms. 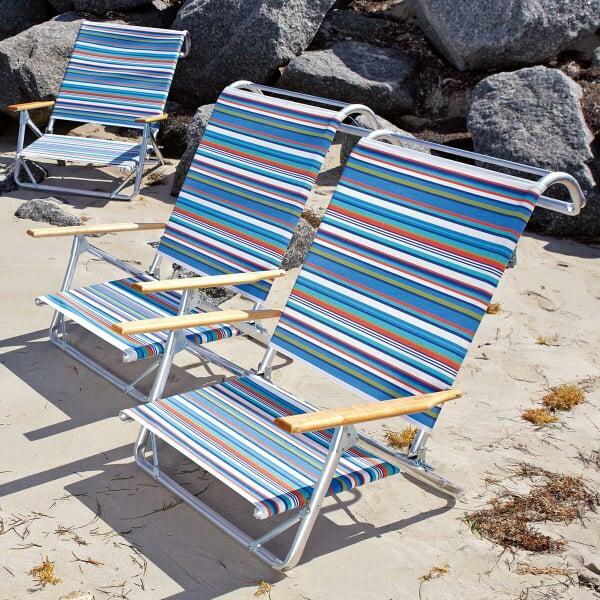 These chairs are easy to carry, easy to maintain, and easy to store. 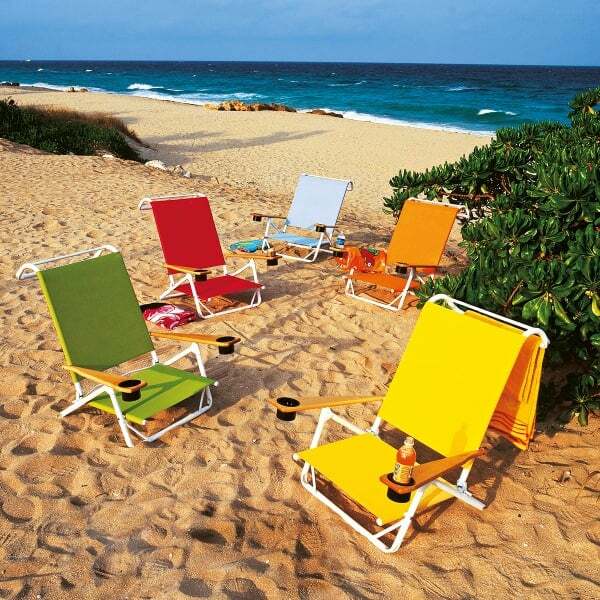 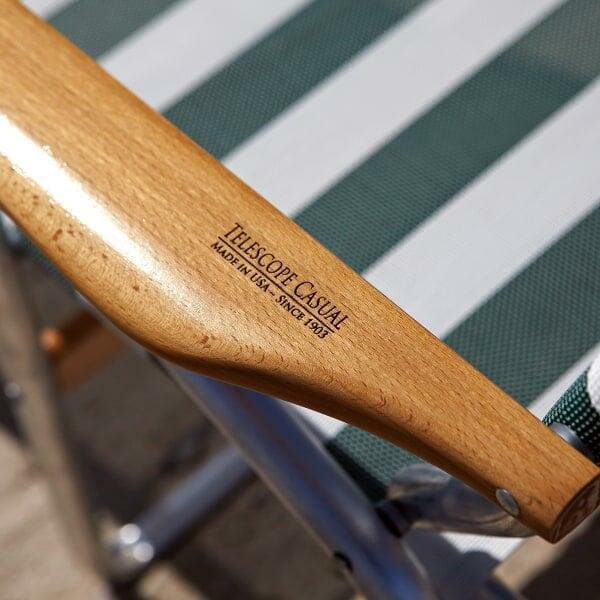 An incredible value, the Beach and Pool Collection by Telescope is rust-free and water-resistant. 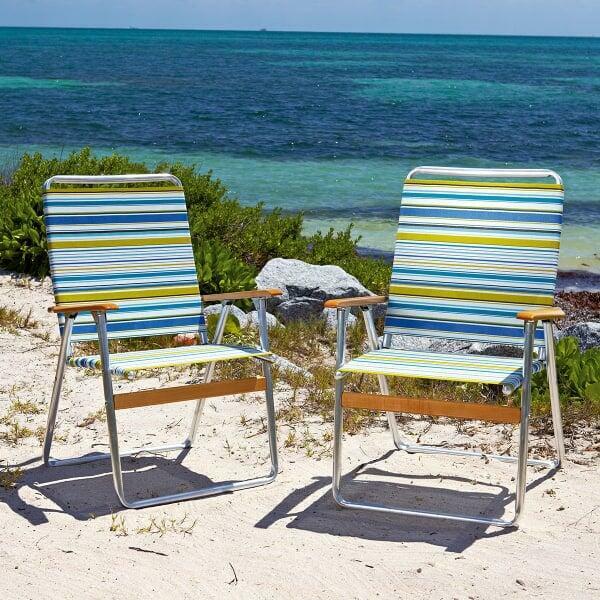 Customize with your choice of 20 fabric patterns and colors!